Make your wardrobe filled with these trendy silver kurta collections that are available for both men and women. This shiny colour is most likely chosen for an ethnic wear occasions and has variant choices in shades, sizes and patterns. 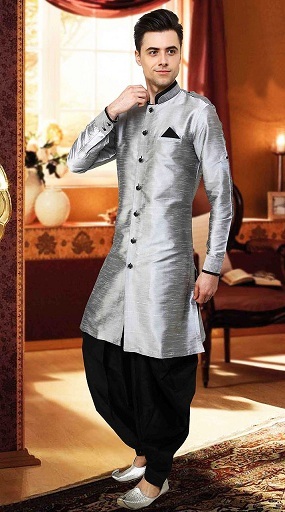 Check out this good looking and handsome silver kurta for men which has a bit shade of grey mixed up in it. This shiny brocade silk fabric kurta has full sleeves and collar type neck. 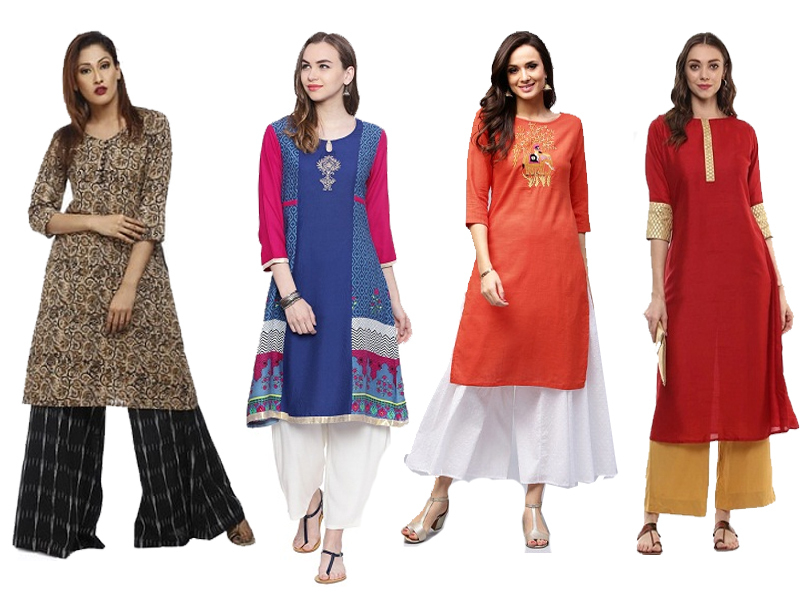 It is the perfect choice for a wedding reception or any similar occasion where a long kurta is in demand. 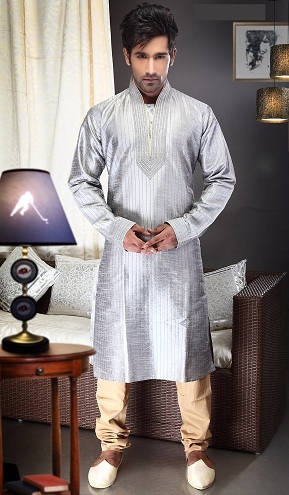 Discover this adorable silver shaded kurta which has a Chinese collar pattern endorsed in it. The fabric used here is pure art Dupion silk and it is stitched in a sherwani pattern design. The highlight of this kurta is its unique cuts which have perfect curves. 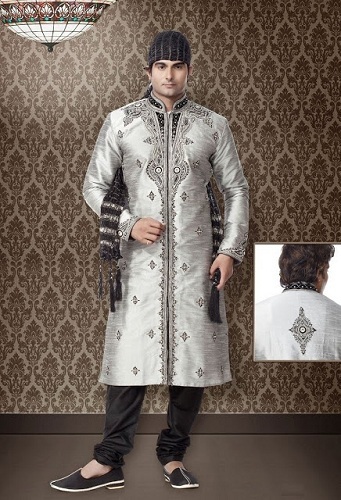 Take a look at this beautifully stitched designer Men’s wear Kurta which uses jacquard material overall. It comes with the Pyjama set which readily suits its look and it has silver thread embroidery on its neck and sleeves border. Now grab this stunning collection of Silver kurta design which is used to wear in a special event such as Eid or other similar festivals. It consist of black art embroidery and it is made up of a raw silk material. The embroidery pattern is embossed with both art and stone works. Enjoy wearing this beautifully designed kurta which is made up of raw silk material. 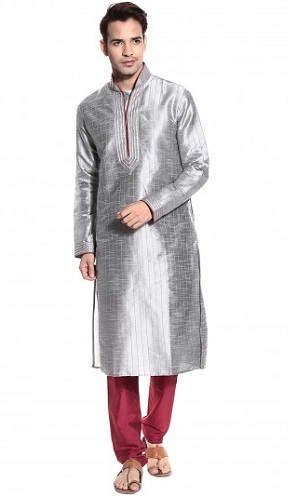 This silver kurta design has a white pyjama matching it, which gives the most liked ethnic look. This has no fancy appliques over it and it can also be matched with contrast shaded Pyjama pants such as a shade of dark Grey, navy blue, black etc. This is salwar kurta pattern which is of silver shade that readily suits women’s looks used for the ethnic type of wears. 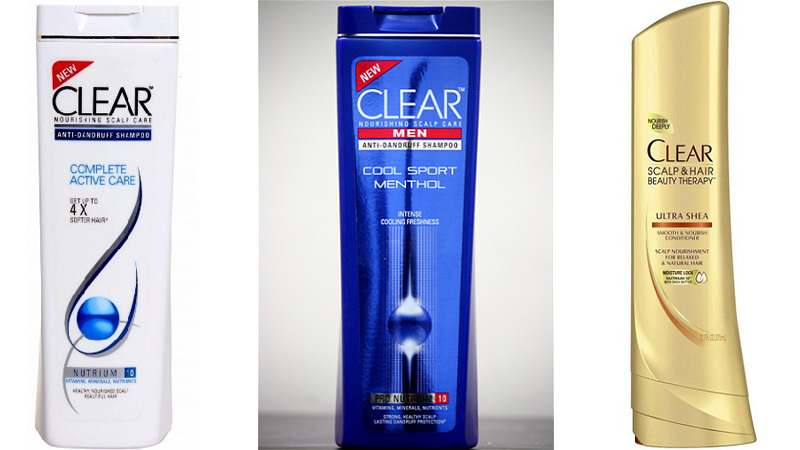 It can be paired with contrast shaded leggings or cotton pants that gives it again an upgraded attire. This is kurta for women has an open slit in the front side and has a closed neck pattern. Put your eyes on this unique cut shiny kurti for women which are a long type kurti. It has mini sleeves and as a highlighter, it uses black colour printed patterns on its chest. And it has a simple round neck. Explore this incredibly designed kurti for women which have a Resham work embossed on it. It makes use of black laces in its neck, sleeves and border of the kurti. It has side open slits and with the three fourth sleeves. Have a look on this simple casual wear kurta for men that have a distinctive maroon piping pattern in its neck and sleeves. 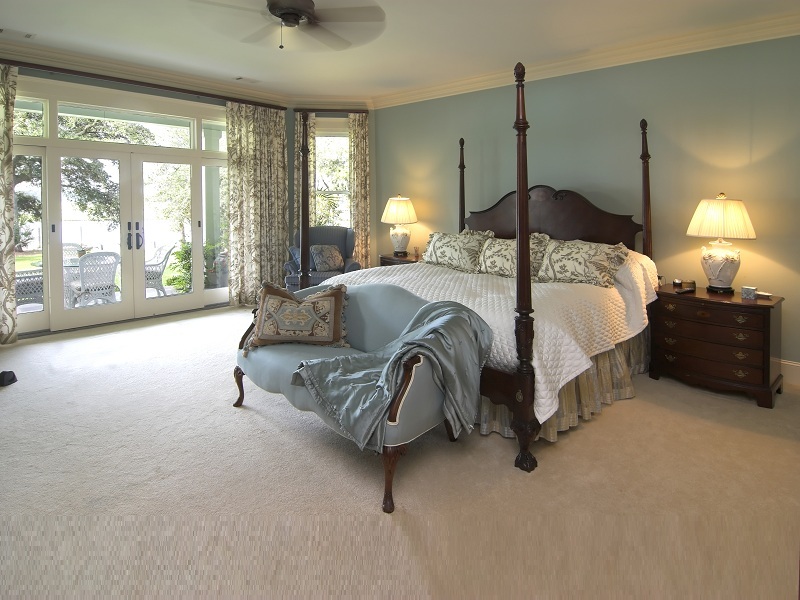 Henceforth, it can be mismatched with the perfectly suiting maroon shaded pyjama. And it is a perfect choice as a casual wear for any get-together parties. Don’t miss out this opportunity to upgrade your wardrobe with this new trendy and fashionable choice of options to select these dazzling outfits. 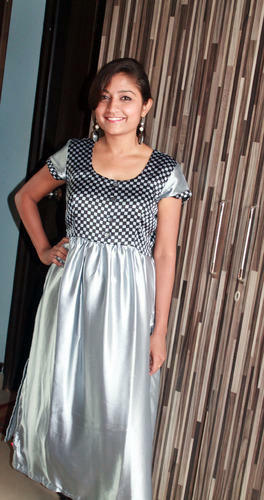 The silver shaded attires such as kurtas and kurtis are all-time favourites for most of us.